Patriot's Day - 4K UHD Blu-ray Review - ReDVDit! April 15, 2013. I was working my part-time college job, inside a laser tag arena as an assistant manager of a family entertainment center, when my phone went off with a news update. “Explosion at the Boston Marathon finish line. 15 injuries confirmed.” I immediately ran out to the cafe area where we had TVs, and had my manager flip to the local news station. There it was; total chaos. Bodies everywhere, smoke, ambulances, police officers and civilians scrambling to help. It was a disaster. Later we would learn that the “15 injuries” originally quotes was far less than the real total, and this was a far more horrible attack than anyone could have imagined. For the next week I was glued to the TV, trying to get any updates I could on the hunt for the bombers. As far as I knew, they were still roaming around the city, walking the same streets that I was walking as I headed to the Red Sox game. It was a terrifying thought that these two maniacs were free and plotting their next move, and the entire city was on edge. Then, the FBI held their press conference, and the hunt was on. We had photos, which later turned into names, and I remember staying up all night watching the latest updates as all of the major network news stations flooded the streets of Boston. Once I found out that Officer Collier was killed at MIT, I knew it had to be them, and I made the conscious effort to not miss a minute as the entire city tracked down these scumbags. When we finally finished the hunt the next day, and entire population breathed a sigh of relief, and could truly begin the grieving process and the road to recovery, knowing that our law enforcement had taken these terrorists down once and for all. Obviously, Patriot’s Day hit very close to home for me. I knew a handful of people who were there that day, which I’m fairly certain is the case for just about everyone from the area. Everyone has their story about that day; where they were, what they were doing, who they knew who was involved. It was a massive sense of community that encompassed the city, and still does to this day. Creating a movie that focuses on such a tragic, and recent, event is always a struggle, but I am glad that the filmmakers consulted families who were involved, and tried to tell the story in the most respectful way that they could. Overall, I thought the movie was excellent. I’ve watched and read many pieces on the Marathon Bombing, and this is by far one of the most accurate movies I have ever seen. The two terrorist brothers were portrayed so accurately that it was truly unsettling, and the major players in the investigation and subsequent hunt and shootout were spot-on. 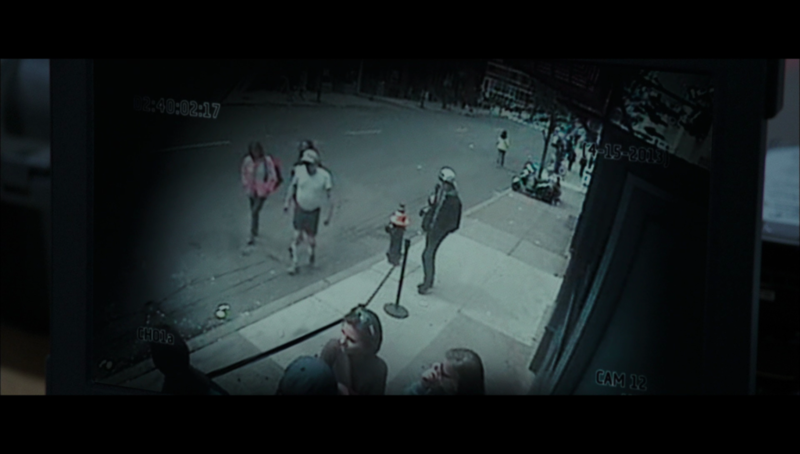 Every piece of the police work was exactly as I remembered it, right down to their movements and strategies during the penultimate shootout, and their investigative techniques that allowed them to land on the two suspects, “black hat” and “white hat”. 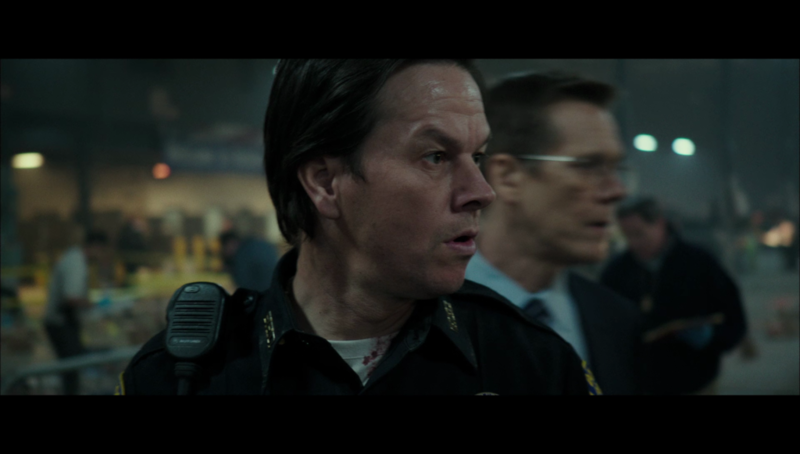 My biggest complaint is actually Mark Wahlberg, who decided to insert himself in nearly every major scene as a fictional cop names Tommy Saunders. 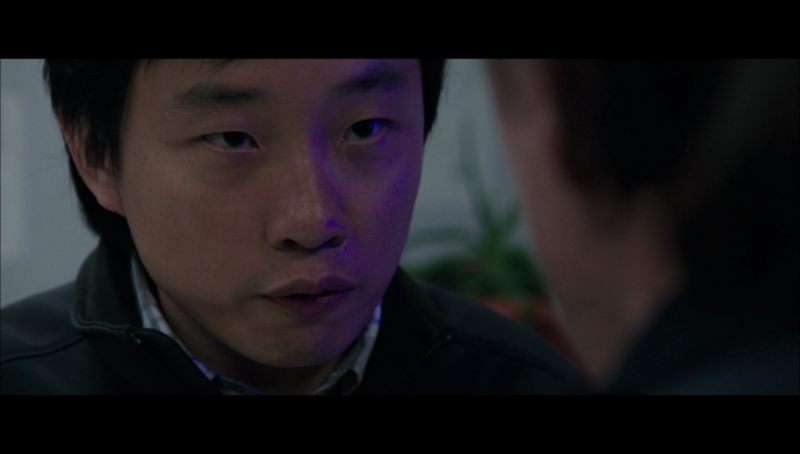 There was no Tommy Saunders involved in the true events of the Bombing, and Wahlberg essentially created this character to make sure he had a reason to be in every scene. Wahlberg is notorious for wanting to be the “hero”, and I’ve had a hard time getting on board with his antics as the hero since he claimed he could have stopped 9/11 had he been on the plane. If you remove Wahlberg from the movie and inserted another character in his place to drive the narrative, like John Goodman’s portrayal of Boston Police Commissioner Ed Davis, the movie would have been essentially the same, and a lot more accurate and less annoying. However, if you aren’t very familiar with the events, this probably won’t bother you, but if you have any understanding of the tragedy at all, you know that this is a case where Wahlberg wanted to stroke his ego a bit and play the “savior of Boston” character; a dream role for him based on his roots. It’s fine, but I deemed his character to be wholly unnecessary. 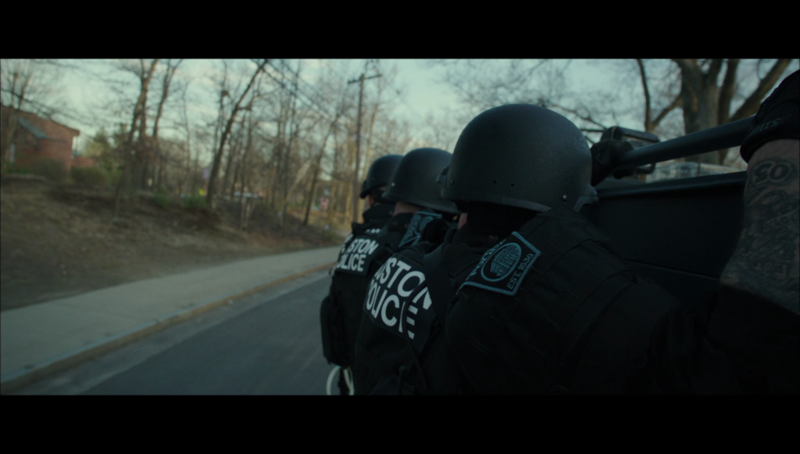 In the end, Patriot’s Day is very well-done. It is shot almost like a documentary, with some shaky cam and quick cuts between shots, but it adds to the realism that Director Peter Berg wanted in this film. It is respectful to the victims, and is not “full of gore” as I have read in some reviews. The gore is a necessary part of the story, it was an awful tragedy with awful injuries, but being on-site that day or dealing with the aftermath was a much worse situation than what was portrayed here, likely out of respect for those involved. You can Google the photos and see the carnage (I don’t recommend it), but the movie has clearly toned the bombing scene down a bit compared to the reality of the situation. It is not an easy watch, as it is very tense at times, very sad at times, and hard to look at, but there are some quick laughs interspersed in the film, highlighting the tough Boston attitude of the city’s inhabitants. In a shootout scene, a man emerges from his house to throw a sledgehammer to a police officer, yelling “Give em Hell!”, not knowing that bombs and bullets were flying. Is this dramatized? Sure, but it’s not far from reality. 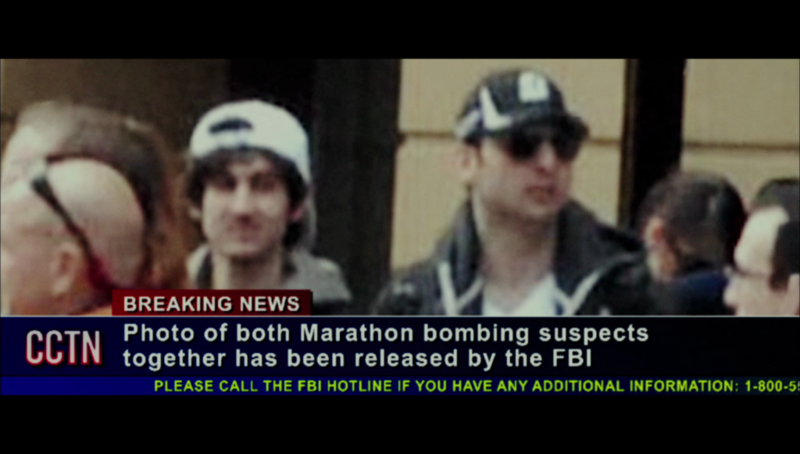 So many people would have ended these two scumbags given the chance, and so these “funny” moments are really just an accurate portrayal of the anger and utter disdain that so many people had for the two Tsarnaev brothers. I will definitely watch this one again, as it tells a story I can directly relate to and connect with. For those outside of the area, it may not have as much re-watch value, but if you liked similar films like Deepwater Horizon or Lone Survivor (both also starring Wahlberg and directed by Berg) you will enjoy this movie. I recommend at least an initial viewing, as it accurately portrays a horrible American tragedy, but it is important to understand just how united the city of Boston was in this week, and gives us all a reminder that no matter who is in charge, or what the political state of the country is, that in the end, we are all Americans. Quick cuts and lots of motion make Patriot’s Day a tough movie to judge on a visual standpoint. The film was finished at a 2K Digital Intermediate, so it is not a “true 4K” title and is an upscale. The HDR is not great, as it makes dark scenes even darker, which is an issue that HDR seems to have a hard time handling. True blacks and deeper colors are nice, but it can make it impossible to make out what is happening at night. With a little more than a quarter of the movie taking place entirely at night, the HDR actually hurts this picture, and it does not help at all. After viewing the Blu-ray copy to get my screenshots, I preferred the color gradient on the Blu-ray to the 4K. Audio is the real standout for this release. The included DTS:X audio track is excellent, and it excels in all areas. The bombing scene is horrifically realistic, and the shootout in the streets of Watertown sounds exactly like it did on the night of the actual events. Gunshots ring through the speakers with ease, and the surround effects are used to perfection during each action scene. The score is also beautifully done, with Trent Reznor and Atticus Ross doing an amazing job with the background music and overall ambience that was needed with a film of this subject matter. I highly recommend adding height speakers to handle Atmos and DTS:X tracks if you have not already. I added SVS Prime Elevation speakers to my 5.1, and the additional two channels take my home theater audio experience to the next level entirely. DTS:X and Dolby Atmos are worth it, so I would focus on upgrading that technology first, possibly even before going to 4K. 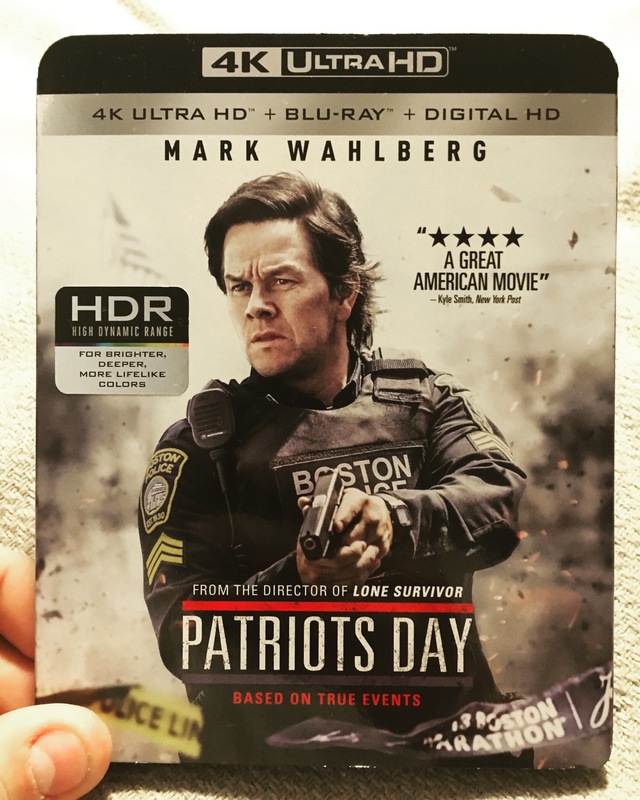 Patriot’s Day comes packaged in a basic two disc (4K and standard Blu-ray) case, with a digital copy available for iTunes or UV services, and a slipcover. The artwork is pretty standard, and this was a release that was sorely lacking in terms of packaging. There could have been some very cool steelbooks based on the subject matter, and I am disappointed that there were none available. The special features are pretty great, especially since there are 4K features included. The 4K disc has three features, which focus on the true events of the bombing. They are very informative, but if you don’t feel a strong connection to the events, you may not see much value in them. The Blu-ray disc also has three features, but are more interesting to the casual fan. There is a two-part feature where the actors meet their real-life counterparts which is a very cool look into the film and the true story behind it. You truly feel the emotion in these special features, as there is also a “Cast Remembers” feature where they all reflect on the events. Ultimately, Patriot’s Day is an important American film that does an excellent job accurately depicting this horrible tragedy. Honestly, as great as the two actors who played the brothers were, I sort of wished that they focused less on them. They became major characters, while the real heros, like the countless police officers who risked their lives, were essentially no name characters. That would be my only gripe with the film, but that likely plays into the “Wahlberg Superhero” ego that carries the film. The picture quality is just average; I preferred the 1080p picture, but the audio is excellent and reference quality. I recommend a pickup, but you can probably grab the standard Blu-ray and skip the 4K release.